PDFsam Split And Merge 3.2.4 Portable » TopFreeSoft.Net - Best Freeware Software! 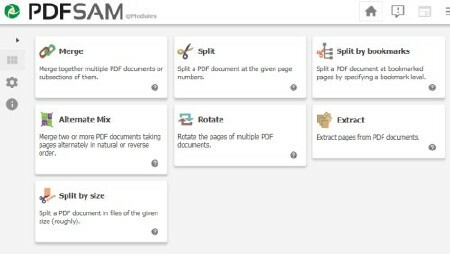 The PDF mix module lets you merge two or more PDF files taking pages alternately in straight or revers order. The perfect solution if you have documents containing even and odd pages respectively and you want to rebuild the original document. The Extract module lets you extract pages from PDF files. Single pages or page ranges can be selected to create a new PDF file containing only the pages you need.